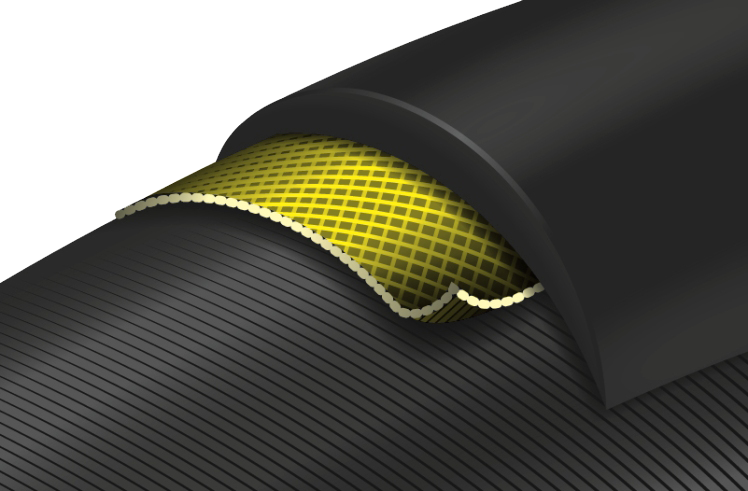 With our PolyX Breaker®, we bring our car expertise to the bicycle tire segment: Polyester has been used successfully for years in car tyres and been tried and tested many times. The extremely resistant polyester fibre is woven tightly crosswise. In this way, a very high fabric density is reached which not only makes the Breaker more resistant to foreign objects but is also especially resistant to punctures. The rolling resistance is also not negatively affected by the PolyX Breaker®.